Fully waterproof with a touch of stretch for ease of motion and Heatseeker insulation to keep your legs warm and comfortable on the coldest chairlift, The North Face Women's Ravina Ski Pant's clever fabric enables you to comfortably ski your chosen piste, even in blizzard conditions. Get maximum time on your skis with these warm, women's Ski Pants. Fully waterproof with a touch of stretch for ease of motion and Heatseeker insulation to keep your legs warm and comfortable on the coldest chairlift, The North Face Women's Ravina Ski Pant's clever fabric enables you to comfortably ski your chosen piste, even in blizzard conditions. HyVent 2-Layer, 2-way stretch offers impressive waterproof protection to keep you dry what ever the weather - from blizzard conditions to rain in the valley. The 2-way stretch element of the The North Face Women's Ravina Ski Pant ensures that you have all the movement you need to make the most dynamic moves. HyVent is also very breathable, ensuring that moisture generated by your active body can pass through the fabric, keeping you dry on the inside. 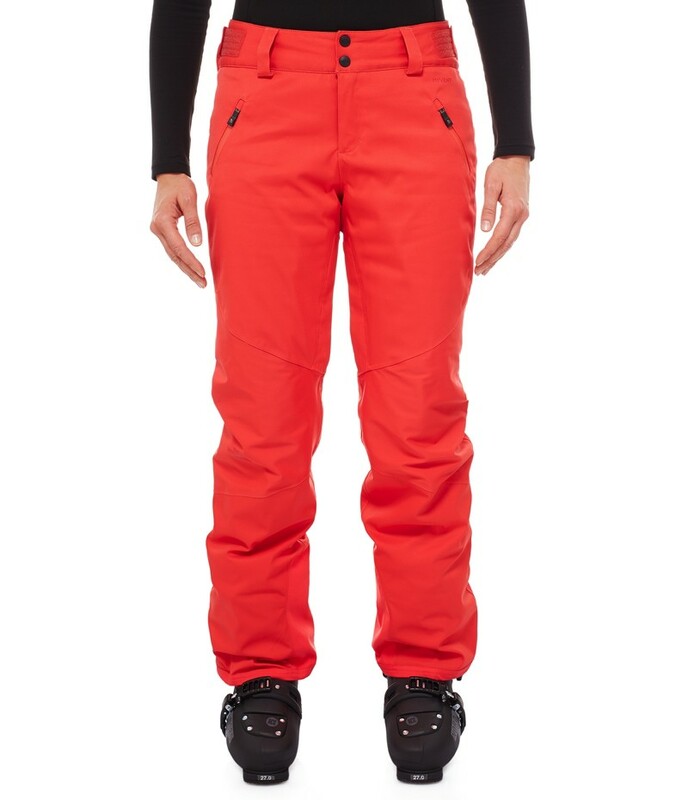 The The North Face Women's Ravina Ski Pant's Heatseeker insulation will keep you warm and protected all winter long. Synthetic Heatseeker is lightweight and non-bulky, so you won't feel restricted by acres of padding and it will still keep you warm should it become wet. If you start to overheat, undo the venting zips on the legs to regulate your temperature effectively. Snow Gaiters in the The North Face Women's Ravina Ski Pant's cuffs keep powder out of your boots, keeping your feet dry and comfortable. 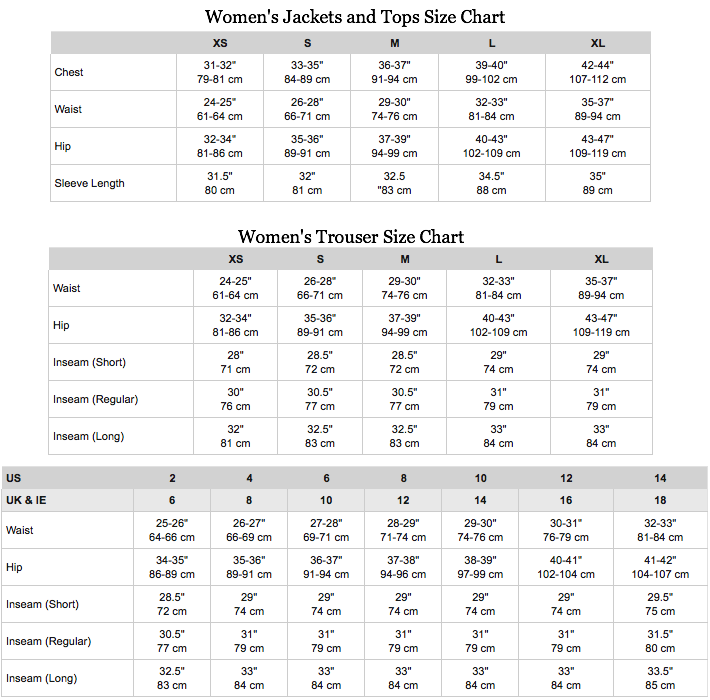 The adjustable waist tabs can be used to pull in the fit to create a comfortable seal, or let out to accommodate an extra layer and the back is scooped up slightly to provide warmth where you need it, especially when bending forward. Belt loops are provided to add a belt if you need one. The North Face Women's Ravina Ski Pants are a neat fit, but are patterned to to allow movement, providing an unrestricted feel. Two waterproof zipped pockets stow mini-essentials and reinforced kick patches and edge guards increase protection from ski edge damage. The North Face Women's Ravina Ski Pant is fully equipped to keep you warm, dry and comfortable in the most demanding conditions you'll encounter. From 'First Tracks Fridays' at Breckenridge to Kitzbuhel's 'Elephant Ski Safari', The North Face Women's Ravina Ski Pant is ready and waiting! So pleased with these pants - great fit compared to so many other brands' sizing. Fantastic price and superb service with my parcel arriving very swiftly. The handwritten note on the paperwork was a nice touch.